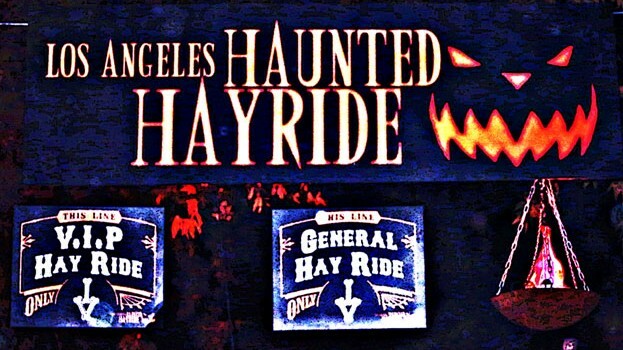 One cold and scary night, a group of friends set out to explore one of LA’s most well-attended Halloween attractions… The Los Angeles Haunted Hayride… Muahahahahaha! I’ve seen the billboards, heard the chatter, plus one of my actor friends was hired to play the ghost of Tupac so the LA Haunted Hayride was on the must-do list of Halloween Season 2013. 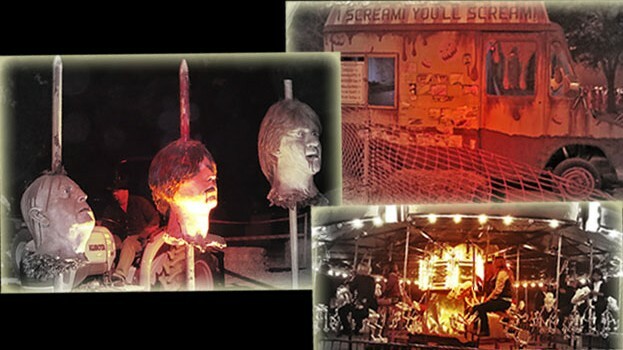 Located at Griffith Park (Old Zoo, 4730 Crystal Springs Dr.). 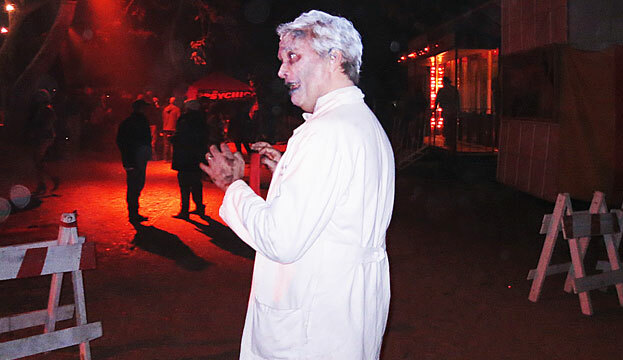 The park offers the hayride, a haunted maze and a sideshow with a scary-go-round and a few smaller attractions. We went around 8:30p on Saturday night and it was packed! Had to park so far back where if it weren’t for the shuttle, it would’ve taken about 30m to walk to the entrance. The Haunted Hayride is the main attraction and therefore had the longest wait (1h45m). In line, they had small stacks of hay to sit on as you progressed, but regardless standing that long definitely took a toll on my back. Once you make it to the front, they pack your group (about 20 people) into a cage… literally, a cage. 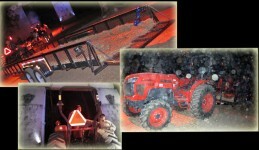 On-board the tractor trailer, everyone sits pretty low on a bed of hay… hence the name. The ride was full of surprises, great costumes and actors who stayed completely in character. The production, lights, effects was very impressive for a haunted house and as this was my first experience on a hayride, that definitely added to the cool factor. Overall, it was a fun activity. 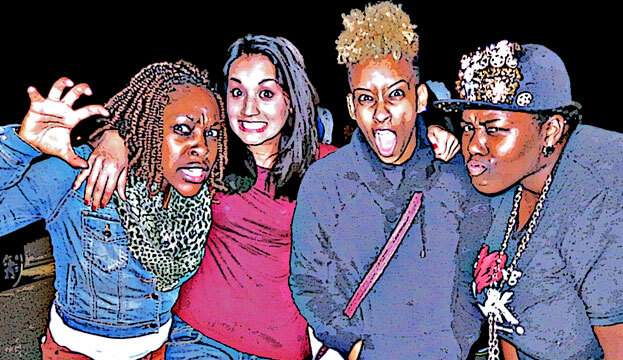 Just make sure you go with fun people because most of your time will be spent in line. 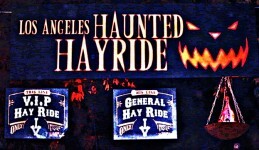 The LA Haunted Hayride in Griffith Park is open until Halloween night, October 31. 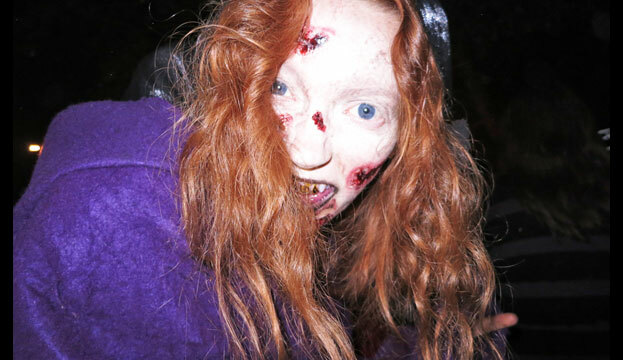 Tickets range from $30 for just the Haunted Hayride to $39 for the Hayride and Maze. 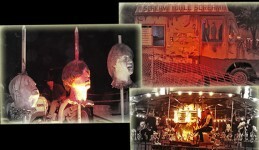 If you can swing it, buy the $55 VIP tickets which allow you to skip the line…. so worth the extra money! Cons: The LINES – longest wait ever; hot chocolate (more like warm brown syrup).